Finally! Americans are getting a pay raise. Wages grew 2.5% in October from a year ago, the best increase since July 2009. It's great news for millions of struggling Americans whose wages have barely budged in recent years. 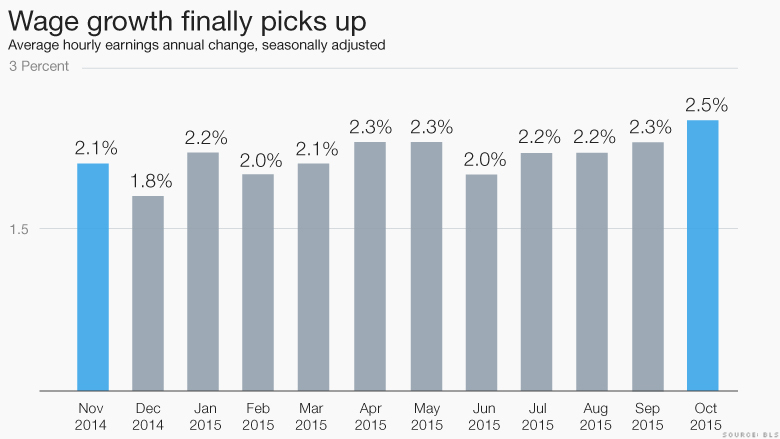 The October jobs report was strong across the board. The economy added 271,000 jobs, the unemployment rate fell to 5% -- its lowest level since 2008 -- and more part-time workers found full-time work. In the years following the Great Recession, employers have hesitated to bring on full-time workers, a reflection of their uncertain outlook on the economy's future. Now, not only are they getting more full time workers, but it's slowly getting harder to hire people. So employers are having to pay more to keep employees from jumping ship or to hire new workers. Wages are still growing a lot slower than 3.5%, a rate which the Federal Reserve considers healthy. But higher wages hold the key to consumer spending, which accounts for the biggest portion of U.S. economic growth. It's coming at a critical time when the global economic slowdown is hurting U.S. trade and manufacturing. 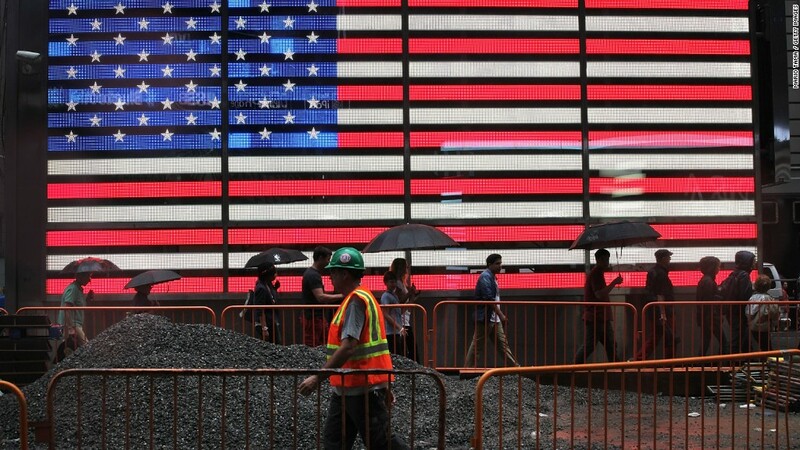 The U.S. economy grew a sluggish 1.5% in the third quarter. A year ago the economy grew 4.3%. U.S. consumers have been spending more on cars, hotels and new homes, but the pace needs to pick up more to make up for the losses in trade and manufacturing. Higher wages does increase the cost for businesses and lowers their profit margins. But overall, the economy looks healthier as wage growth appears to be turning the corner. Finally.